Tomorrow will be the first time since the creation of #PassTheScopeEDU that I won't be a planned part of the event and I'm not sure I'm okay about it. I was in the right place at the right time to work with the very talented Valerie Lewis and crew in starting the very first #PassTheScopeEDU event back in April and have loved working with the planning crew for each of the latter events. But I won't be an official scoper for the July Edition focusing on Creating Something New for the 2016-17 School Year due to being away with family on vacation. Now, don't get me wrong, I LOVE to disconnect occasionally and be away from the interwebz, but I also legitimately LOVE being involved with my #PassTheScopeEDU crew, so this is a little crazy for me. So don't be alarmed if you see me jump in on a slow moment and share some of my own ideas for the coming school year, and they are many! Plus, I may even have some breaking news about my next year plans. But I didn't officially plan a time due to not knowing where I'll be, but watch out for me. If you want to get a run down of who IS participating, look no further than the wonderful Stacey Lovdahl's great post on her site ScienceToyBox. She has put together a nice view of the event as well as another great video, which is shown below. Be sure to check out Stacey's blog for the full schedule and join in as much of the #PassTheScopeEDU fun starting at 12pm EST and going until 11pm EST with some breaks in between. 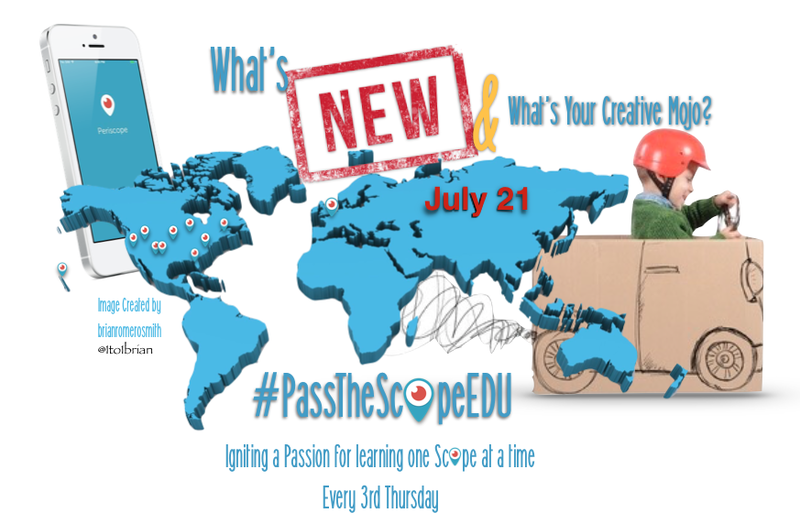 And if you can't join in live, be sure to search for #PassTheScopeEDU on Periscope to find out what you missed.